Nothing beats watching your local football team; except watching it from the hospitality box. 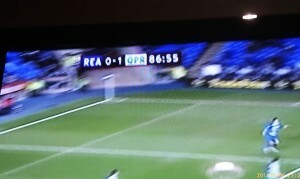 DediPower Managed Hosting recently took a number of customers to see Reading play QPR. 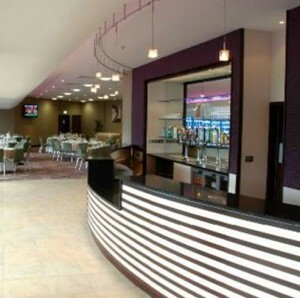 Following the winding maze to find the spacious and well kitted out hospitality suite everyone enjoyed sinking a few drinks; eating food; playing the Xboxes that lined the walls and making some light hearted bets. Once everyone appetites has been satisfied and the alcohol torn from our hands (I demanded to see the legislation that required this act of cruelty) we made our way onto the private terrace. The atmosphere from the 18,982 screaming fan in attendance surprised and awed those who were watching a live football game for the first time. Following the kick off it quickly transpired we had a few QPR fans in the midst. However the ‘Royals’ gave the current leaders of a league a tough first half. Chances were at a real premium, and defences were very much on top until a well-worked move gave QPR a chance that they finished well. Late in the first half QPR player Hogan Ephraim was sent off for a challenge on Jimmy Kebe. It was controversial and started uproar from the QPR fans next to us. 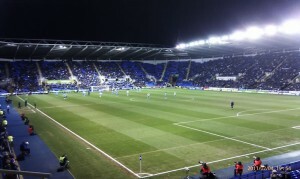 In the second half QPR managed to send the ball to the back of the net in the game’s only goal leaving Reading second defeat in 16 matches. As the final whistle blew as we made our way back into the warmth of the suite for a final beer before parting ways. We would like to thank all those that joined us for the game and hope everyone thoroughly enjoyed their night.